Game Preview: Barrie Colts vs Erie Otters. #OHL - Very Barrie Colts | A website covering the Barrie Colts of the OHL. 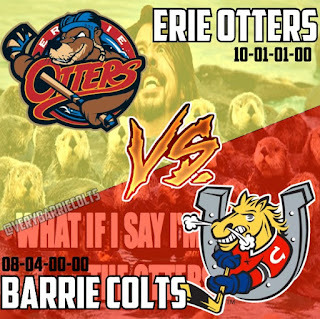 Tonight the Barrie Colts host the Erie Otters for the first of two meetings this season. Last season Erie won both meetings and outscored the Colts 15-8. Erie is coming off of a 7-3 win last night over the Owen Sound Attack. Nick Betz game winning goal was his second of the night and he also earned an assist. 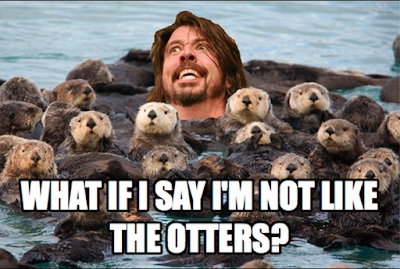 Even strength, the Otters were no doubt the better team but they had struggles on their penalty kill. Owen Sound forward Ethan Szypula contributed 3 points on 5 power play chances for the Attack. 6 players on Erie were able to put up at least 2 points. The win would break a 2 game losing streak which is the longest the Otters have allowed in this early season. The win also improved their record to 10-1-1-0 which has them in first place in the Western Conference. Barrie won their last game this past Sunday with a 5-3 win over the Oshawa Generals. Mackenzie Blackwood had an unreal night (click here for our reaction) stopping 38 saves on 41 shots. Kevin Labanc scored the game winner and Andrew Mangiapane would score a hat trick. The Colts got no chances on the power play and only managed to get 20 shots on goal. Barrie just came out the stronger team and Blackwood was strong enough to make sure the team could hold on to get the win. Barrie is currently riding a 3 game winning streak which they will look to continue tonight in front of the home crowd at Barrie Molson Centre! A win tonight for the Colts could put them 2 points behind the Kingston Frontenac's fir the top spot in the Eastern Conference. Keys to Success: Take advantage on the power play. Erie was the stronger team in the last game against Owen Sound and it was a weak penalty kill that helped the Attack stay in the game. Barrie needs to make sure to capitalize on any chances they can with the man advantage. They will need to get pucks on the net and bodies in front of the goaltender. They will also need to be disciplined. Even though they have been strong on the penalty kill Erie is not a team you want to be giving the man advantage to because they can quickly make you pay. Also with Erie playing last night and having to travel they could be tired. Could be an advantage. Players to Watch: Andrew Mangiapane is coming off of a hat trick and I would expect he would carry that momentum and confidence into tonight's game. If you are at the game tonight and don't know, the team is having a Halloween costume contest tonight at BMC and will be giving out prizes. Puck drop is scheduled for 7:30.